It happened one December. My sweet toddler went to sleep one night (woke up several hundred times as usual) and woke up the next morning (hideously early as usual) with a brand new MO. Toddler Mission: 18 Month Sleep Regression. 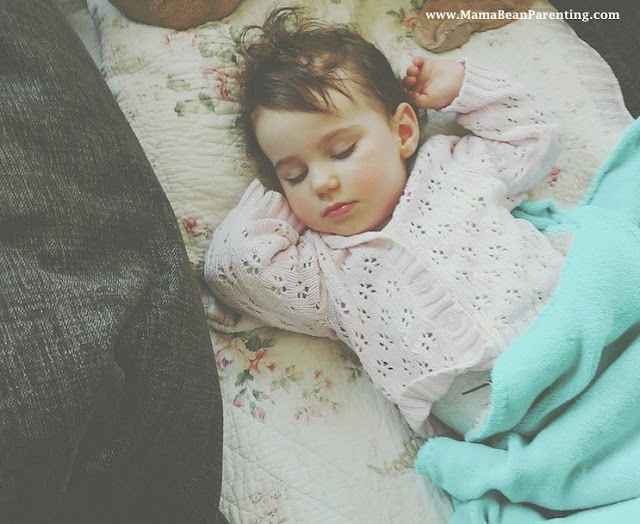 What I did store in my memory banks isn’t pretty…along with the major sleep regression, we were also hit by a tidal wave of...erm…‘toddler nuances’. The main one was a major fear of the bath. Goodbye happy bath time with yellow ducky…hello Ultimate Fear of The Plug. Well, I could have used the ‘methods’ outlined in thousands of articles, memes and books written to conquer troublesome toddler behaviour…but why would I punish my baby for being scared? Why would I disconnect from my little girl when she was so obviously seeking connection? Why would I ignore or distract her cries when I had the opportunity to show her that mama accepted her for exactly who she was in that moment? At the time, I had no network of like-minded moms to connect with, nor did I have the acres of child development research I now have filed under ‘critical reading’. At the time, I used nothing but blind faith…blind faith that this too shall pass. But what I wish I had known, what I wish I had had available to me at the time, was support. Support in the form of knowledge. Support in the form of community. Support in the form of balance. Babies and children are growing and developing at super-speed and while most developments are subtle and flowing, some cause very noticeable behavioural changes. The information out there regarding newborn development is often very clear…moms are forewarned and forearmed, so to speak, of those first few weeks and months (can anybody say “4 Month Growth Spurt”?) Cluster feedings are obvious, as onesies are outgrown and actual teeth are starting appearing. These changes are all very explainable. But once baby becomes a toddler, the noticeable leaps are fewer and farther between…lots of moms are sailing through calm seas for literally months before the mighty 18 Month Sleep Regression hits. Which can knock even the steadiest of boats straight out of the water. I wish I had known then, that what my daughter was experiencing and how my daughter was acting, was completely and utterly normal. And oh so very common. Because hearing the words, “me too, I’m right there with you!” can soothe even the most anxious of minds. And with such solidarity, comes reminders…reminders to fill up our mommy cups. Reminders to find moments in between the mayhem to stop and to breathe. With a little prior-knowledge, I could have prepared myself better. With a village to lean on, I could have stood a little more steadily. With a focus on moments, I could have avoided the worry of The Bigger Picture. Thank you to mama Els for allowing me to feature her picture in this piece. For more glimpses into real life motherhood, join the Mama Bean village on Facebook!